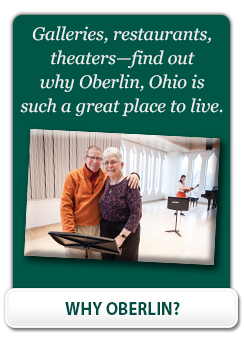 What is the Cost of Independent Living at Kendal at Oberlin? It’s very common that one of the first questions people have about any community is “How much does it cost?” But there should be more questions to follow. What factors cause the fees to vary? What services and amenities are included in those fees? And which services will cost more? Once you have the answers to all of these questions, then you’ll be better equipped to compare the costs for the lifestyle options you are considering. Are You Wondering if Kendal Fits Your Financial Plans? Try this easy-to-use calculator to find out which residential options are a preliminary financial match for your future. Kendal at Oberlin offers a range of contractual agreements to for residents moving to cottages and apartments. Provided here is a general overview of those agreements. For more detailed information, please contact the Admissions Office, 1-800-548-9469. At Kendal, both entry and monthly fees are based on the type of contract, the size of accommodation and whether single or double occupancy. Sizes of homes range from a studio efficiency apartment (482 square feet, single occupancy only) to a large two-bedroom+den deluxe cottage (1,874 square feet), with several floor plans in between. The standard contract offers declining entry fee refund ability for up to 50 months of occupancy, or there are 50% and 90% refund options available for an additional cost on the entry fee. Platinum – is the traditional, comprehensive agreement that Kendal has offered for many years. This agreement includes a full range of residential and long term health care services within the structure of the entry fee and monthly fee. This approach offers predictable fees regardless of changes in one’s health care needs. It also provides coverage for a variety of wellness and rehabilitative services. Gold – is a modified agreement designed to complement an established long term care insurance policy. This agreement features a discount on the entry fee that varies with the benefit period of the resident’s insurance policy. The resident agrees to maintain the long term care insurance policy and there is a period of time (1, 3 or 5 years) when the resident is billed the discounted prevailing daily rate for nursing care services. During this time, the resident is responsible for expenses not covered by the long term care insurance benefit. * Studio accommodations are offered for single occupancy only. Return to INDEPENDENT LIVING page.